We talked about mesh network routers previously at Bandwidth Place. At the time, examples of this nascent technology weren’t yet available for purchase. Now the Eero Internet router has hit the market, and early reviews are trending positive. 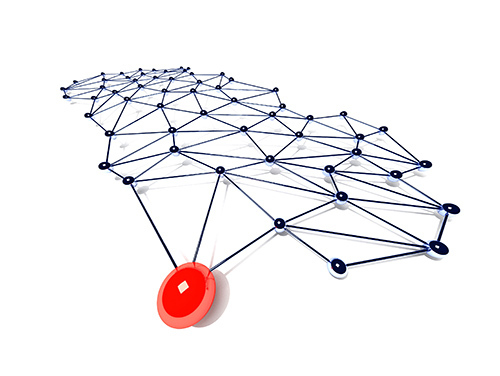 In short, if you live in a large house or typically have a lot of devices connected to your home network, especially in an Internet of Things scenario, wireless mesh routers help expand the range of your network. If you are interested in a state of the art wireless router to optimize your home network performance, you need to take a closer look at the Eero Internet router. It just might be the perfect companion to your Internet usage. It is important to note that Eero makes a premium mesh network router system. Individual routers cost $200 each, and the company offers a three-pack for $500. At least two routers are recommended for an extended network range, without the loss in speed typical of many older range extenders currently on the market. One Eero router is connected to your modem, while the other units are placed throughout your residence. Locating one in the room with your entertainment center and one in your bedroom is a smart strategy for optimal wireless performance. Be sure to test your Internet speed to ensure you are getting enough bandwidth for HD video streaming, around five Mbps at a minimum. You will also need a smartphone or tablet to run the Eero setup app, which is one of the easiest in the industry, according to reviews. A setup wizard walks you through the entire process. You’ll be online and streaming in no time. The app lets you see at a glance all devices connected to the network and easily share login information — using a token instead of an easy to forget password — with your family and guests. It also makes it a breeze to add new routers to your network to get rid of any dead spots inside your house. 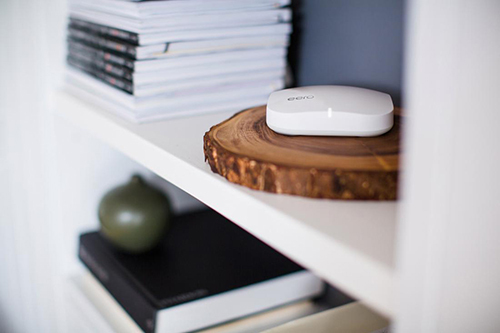 The Eero routers feature a modern design philosophy, with a sleek looking white pod-like exterior. They aren’t something you want to hide in your utility room. The company recommends keeping each unit within 40 feet of each other for the best performance. Considering its high price, the Eero isn’t for everybody. On the other hand, if you made a big investment in a home automation setup or regularly stream 4K video, spending extra for a pack of Eero routers is a smart call. As more mesh network routers become available, like the less expensive Luna, here’s hoping the overall prices will drop across the board.